Home / J-J-Abrams / Leonard-Nimoy / Movies / Robert-Orci / StarTrek / William-Shatner / What Could We Expect from a William Shatner Return in STAR TREK 3? What Could We Expect from a William Shatner Return in STAR TREK 3? We don't know what Shatner's role could be in the next Star Trek, but we know what it won't. Last week rumors started that William Shatner has a role in the upcoming unnamed Star Trek sequel. While Shatner says he hasn't been approached for the role, we can make some guesses based on the history of Shatner's involvement with the franchise. Here's what we know a William Shatner role would be in Star Trek 3. William Shatner won't be just a walk-on role or play another character. BadassDigest says they have news of his scene saying "I have learned that the script for Star Trek 3 includes a scene that reteams Shatner and Nimoy onscreen as Kirk and Spock for the first time in canon since 1991's Star Trek VI: The Undiscovered Country. It would be a pretty huge moment for fans of the franchise, and likely the last time we'll ever see Shatner as James T. Kirk in official continuity." This makes sense. There's no way Shatner would appear in the movie as another character or anything less than a captain. In fact, when Abrams first approached Shatner with a role in Star Trek (2008) his first question was, "And I would play the captain?" That's all he's interested in playing. Back when the first film was being developed he was asked to do a cameo in the first film and he turned it down. He was supposed to appear in the end in the form of a hologram given to Spock, played by Zachary Quinto, by Spock Prime, played by Leonard Nimoy. In the end writer Robert Orci himself said it wouldn't have worked. He told Hollywood Reporter, "We wrote a scene for William Shatner at the end of the movie where Spock, played by Leonard [Nimoy], gives his young self, played by Zach Quinto, something he’d kept with him. And it was basically a recording of Kirk singing 'Happy Birthday' to him for the last time before he went off to die in Star Trek VI. J.J. [Abrams] had determined early on that he felt it might seem like it was, a) too small, and b) pandering to the fans a bit. But we wrote it anyway because as a fan you’re always trying to protect that thing where you want to be able to look fans in the eye and say, 'We were ready.'" Here's the scene as described as "Alternate Scene B" from TrekMovie. a dream. One we were unable to fulfill. The way you can now. There's no way Shatner would accept something simple as a hologram. He's going to want a full on role with dialogue. William Shatner is over 80 years old and probably won't be a younger or digitally "de-aged" version of the character. He was at 2014 Wizard World Nashville Comic Con on Friday he confirmed that he was contacted by Abrams from London about a role. He said the exchange went well and told Abrams, "'Oh, yeah. If it is meaningful, because when Leonard was Spock...in that first movie, I said to Leonard, 'You know your role, when you go back in time and you're still old,'" But even he doesn't know how that could happen. "They might want Leonard and myself but I don't know what to do with it. How do you get me 50 years later into the movie? How do you rationalize it? I know it's science fiction, but even I couldn't come up with an idea. So that's the news on that." Abrams has said in the past that the new timeline could allow Shatner to return. He said, "The point of creating this independent timeline is to not have the restrictions we had coming into this one. And one of those restrictions was that Kirk was dead." He's referring to the fact that Captain Kirk was shot in the back in Star Trek: Generations. 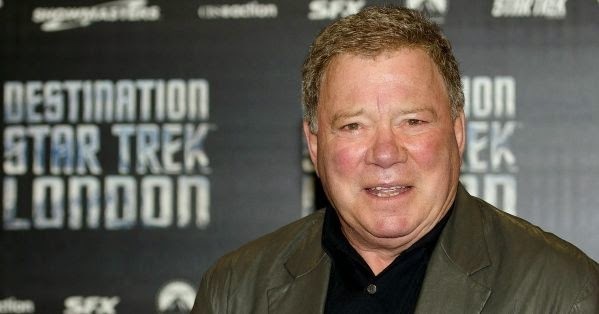 Shatner himself said that he hated the way his character was killed telling Crave Online, "I would have done something else. It was all against me. The studio wanted to try The Next Generation to see if they could break through this $100 million [ceiling.] It seemed that an audience was coming, they could count on an audience and a box office of $100 million but they thought that the 'Next Generation' cast would bring in more, and it didn’t. They were stuck with the same $100 million or thereabouts. I wish that there had been more trumpets for the death of the character." Star Trek: Generations Makes Captain Kirk's Return Tricky. While J.J. Abrams is hopeful, the truth though is that the events of Star Trek 2008 happen after the events in Star Trek: Generations. Some things are erased, but some stay the same, so it's not an easy fix. Co-writer Roberto Orci, who's expected to direct the next Star Trek film said, "one of the difficulties that was brought up and discussed with Shatner when we all met him and pitched him ideas is that Trek fans are sticklers for their canon. [And,] unfortunately, Shatner’s Captain Kirk was killed in Star Trek VII [1994's Generations]." But Orci said they were "still hoping to find a way." Shatner wrote a whole series of novels that take place after Generations that explain Kirk's return as a clone. It's unlikely they'd do something like that, but it's possible. Shatner is paid over $600 million for the Princeline advertisements. If they try to get him back for a film, it'll cost the studio a ton of money no matter what he does. Would you like to see William Shatner return in Star Trek 3? How do you think they could do it? Inserting him will be tricky. It worked with Spock because he went back in time. How will they get Kirk back to that timeline? Especially when he's dead. next film should be fight with the klingons as star trek I: the motion picture to wrath of khan and the third search for spock. then cut loose and don't follow the floating tootsie roll looking for whales in the voyage home. Seems pretty easy. If it's a new timeline then he could just be his older self who goes back in time for some reason. Kirk wasn't shot in the back. Is there an illogical piece of fandom that insists the reshoot never happened? That would probably explain a lot. I didn't know he was so old and made so much money on adds. Personally, he can be in the movie, for a short cameo. I wouldn't mind Shatner being in the next Star Trek movie but like you, I'm have little to no ideas on how the writers would make it work in terms of a full on role...with dialogue and all of that jazz. On another note, I didn't know he was THAT old. 80 years?!! Wowza! I figured he was up there in the ages but wouldn't have guessed that he'd be way way up there. Gotta give it to the man. He's still going strong, even if it's in doing commercials. What a blessing to age long and still be able to work and maintain one's career. It's amazing how well he's aged Nicole. He's still spry and relatively healthy. He's had a long and fruitful career indeed. It turns out the best thing he could have done was do funny commercials. Maybe the "City on the edge of forever"? There is that Jeremy. Maybe we should just let him stay a memory but it would be so cool! Yeah, I think if they named it "Search for Kirk" that would be a bit much.